The JULY motor yacht features a contemporary interior décor of neutral soft furnishings and warm wood panels and floors. 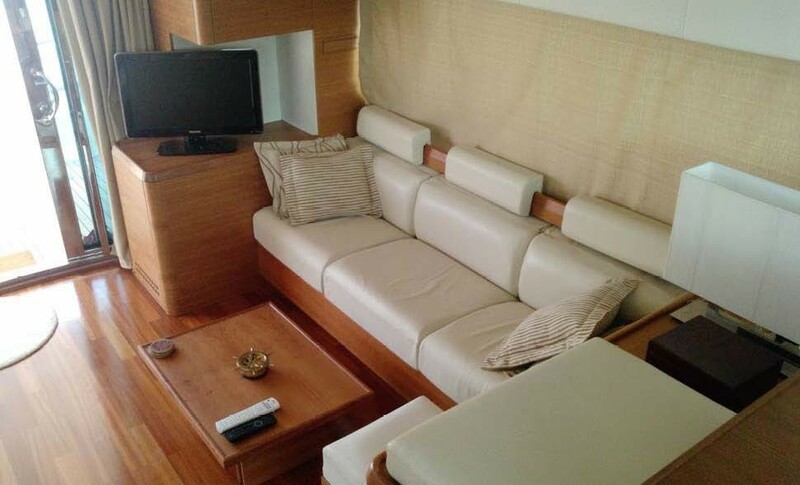 The salon offers 2 comfortable cream leather sofas, coffee table and TV entertainment. 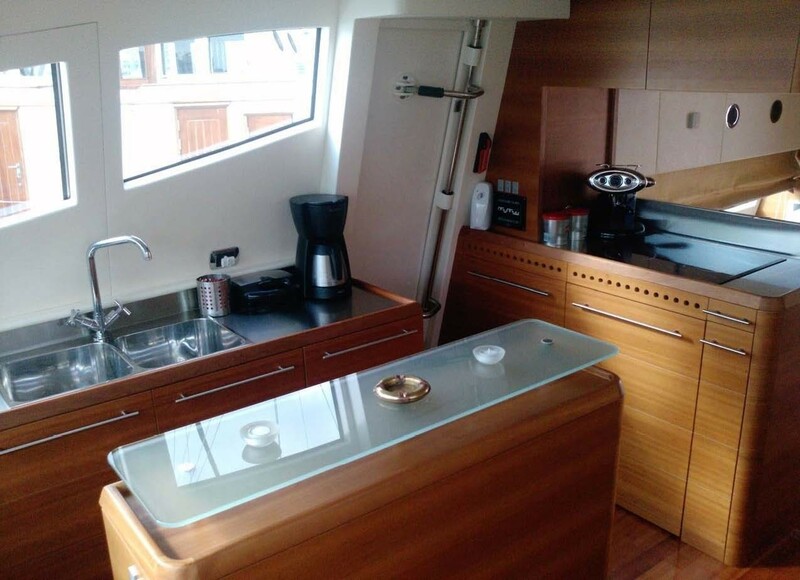 Raised and forward of the salon, is the formal dining to port, with modern galley to starboard. Surrounding windows infuse the space with plenty of natural light, creating an open airy ambiance. 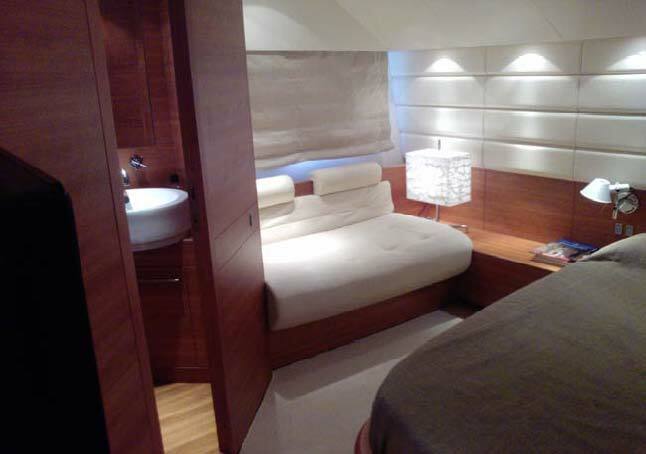 Guest accommodation is below decks, in 1 master, 1 VIP and 2 twin cabins. Crewed charter yacht JULY boasts 2 decks and ample exterior living. Stepping out through the wide sliding glass doors of the salon, guests enjoy the partially shaded aft deck, complete with seating and an alfresco dining option. For the water enthusiasts, the extended swim platform makes for effortless water access. 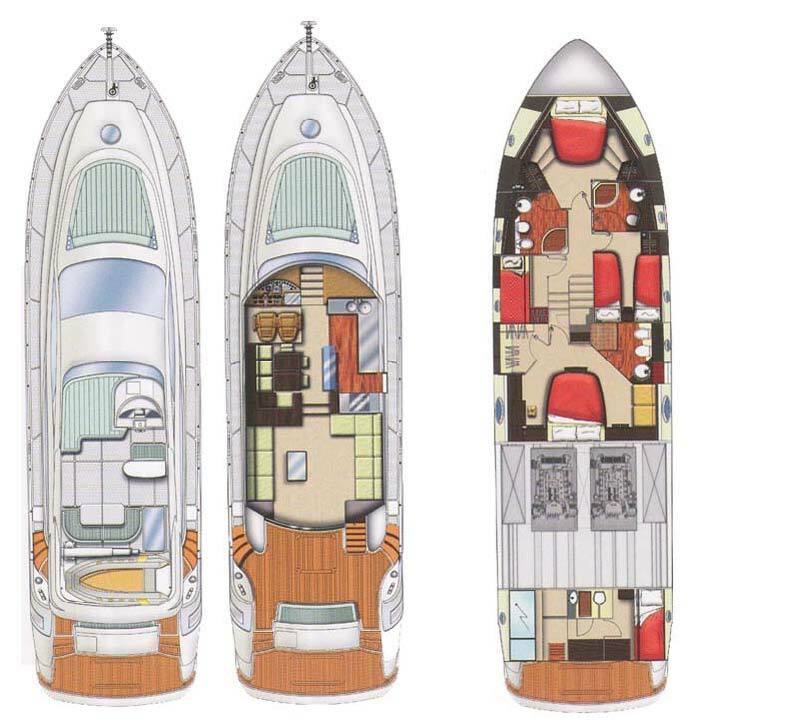 The main deck wraps around the yacht 360°, leading to a double sunpad on the bow. An upper deck offers a further alfresco dining option, double sunpad and flybridge helm station. Powered by 2 MAN 1224hp engines, motor yacht JULY averages cruising speeds of 22 knots. 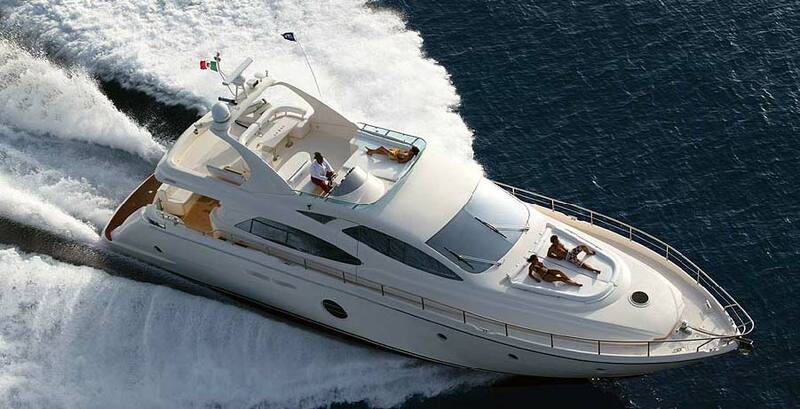 A dedicated and professional crew of 3 ensures a memorable luxury crewed yacht charter experience. 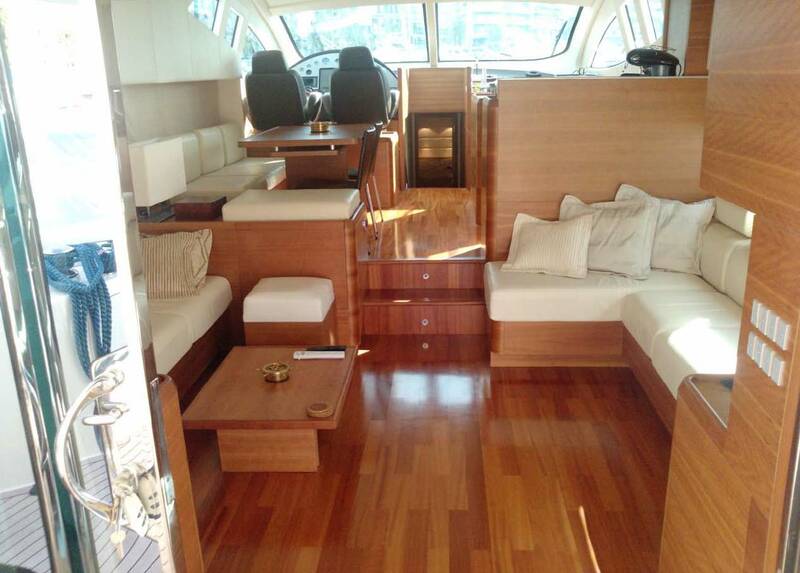 The Aicon yacht JULY accommodates 8 charter guests in 4 cabins. 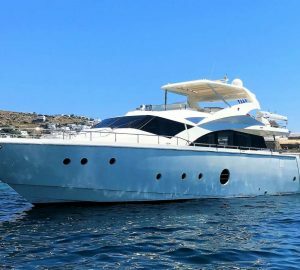 The Master cabin is amidships and full beam of the yacht, with a center lined queen size bed, sofa, vanity, walk in wardrobe and en-suite facilities. 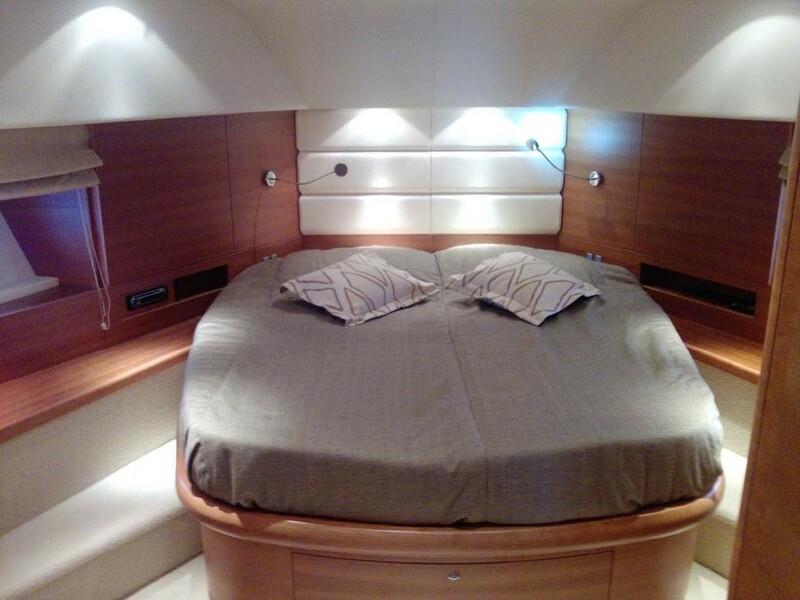 Forward and full beam of the yacht is the VIP cabin, offering a center lined double bed and en-suite facilities. 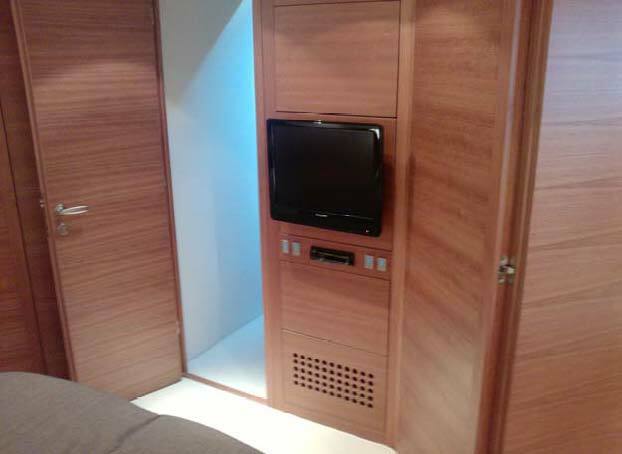 A guest twin cabin on the starboard side has side by side twin beds, while a guest cabin to port, has upper and lower single bunks. Both the twin cabins have shared facilities, with a shower.